In two short days Minecraft will finally enter into beta. Saying that feels somewhat strange as I consider the experiences I’ve already had with the game and the fact that, intriguingly, the game as a whole feels more fully-fledged than a good portion of the so-called Triple-A titles that usually get all the attention. Reaching beta status will bring with it changes, keeping the future of the game both vague and exciting as it continues to evolve. Of these changes, one in particular stands out as something worth pondering: the inclusion of a narrative. What this will mean for Minecraft as a whole remains to be seen until Monday but after hearing about it, I can’t help but wonder if the game even needs one. Allow me to explain. One of the main things that separates Minecraft from other games -- and something that I alluded to when talking about it earlier -- is its ability to let the player craft their own narrative rather than engage in a predetermined one. 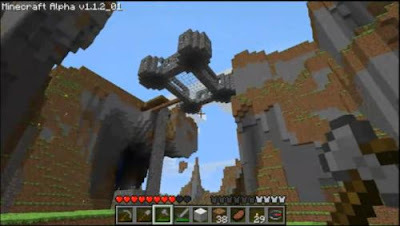 Despite putting you into a randomly generated world and expecting you to decide what to do with it, the Minecraft story, for me, has always been about the journey rather than the destination, and it’s this point that doesn’t only make me curious as to how a predetermined narrative could be implemented, but whether it should be in the first place. Aside from the odd anecdote on Twitter, in blog posts or articles on various gaming websites, the first story I heard about and came to enjoy was X’s Adventures in Minecraft. While David -- X’s real name -- was the cog in his adventure’s machine, his viewers were the ones who kept it turning through suggestions, participation and enthusiasm. It may have been him exploring his world, building the ‘X-System’, the ‘Green House Of Harmony’ or the ‘X-Light 9000’ but it was us, as viewers, who ultimately experienced the journey and shared in its delights. His adventure was almost like a biography, one told to hundreds of people but interpreted differently by each individual who saw it; it all meant something different to each and every one of us. Coe’s Quest, the second ‘story’ I experienced in Minecraft, was similar in that it took us along for the ride and allowed us to experience everything as Coe did. From the initial awe of the landscape that eventually became home to CQHQ, to the exploration of a distant land and the creation of Castle Dogbone, to the trip to the Nether, the discovery of Misty Island and, most recently, the construction of a train station to mark his 100th episode, each event and each outcome was a shared experience, performed by Coe but engaged by many. No other person experienced Minecraft in the way that Coe or X did but, by capturing it all on video and sharing it on YouTube, we all got to share in the pleasure of a narrative that we, ourselves, would never have gotten to experience otherwise. Personal quests that became public, unique yet unified. Consider my own story in the game, too, with its hardships and discoveries, unexpected moments and joyous success once my goals were finally finished. My second and now main world in Minecraft has been a constant struggle -- to gather the necessary materials; deal with the seemingly endless amount of Creepers insisting on destroying my hard work; and the constant need to re-appropriate my house design not once, not twice but four times as things like limited space and the aforementioned Creepers hindered my progress -- and yet, I couldn’t be more happy with how it has turned out so far, what events have occurred and what possibilities exist in the future. Success isn’t (or hasn’t been) measured in the completion of tasks, my progression from hapless wanderer to strong-willed survivor or the inspiration that comes from the sights and sounds that surround me, but rather by the journey I’ve taken, the things I’ve learned on it and the experiences that will reside with me for years to come. It might not mean anything to you -- and you certainly might not care -- but it has been my story and as it continues to be told, I’m learning, adapting and changing as a person simultaneously. It’s my personal narrative, relevant only to me and, quite frankly, I wouldn’t have it any other way. 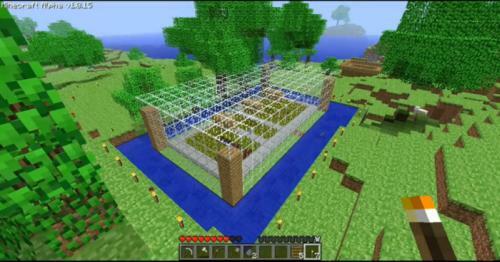 As a sandbox game, however, Minecraft loses its appeal to some players due to the lack of structure and tasks that need to be completed. That first night of survival -- and the hastiness that occurs before it -- is about the only actual thing that should be done in the game, the quest to discover diamond perhaps being another. The thing with these two objectives however is that, while probably smart to carry out as early as possible, they’re not necessary to the outcome of the game nor the experience a player can have. It’s not necessary to ensure survival on the first night; instead, you could pick a direction and travel towards it as a nomad, dealing with the situations that arise as you constantly trek forward. Or, instead of searching for the elusive diamond, you could instead gather wood and stone so that the building of a large structure can commence. The point is, the world that befalls you is open to your whims and desire as and when you see fit and while this is most certainly the appeal of Minecraft for a lot of people, it won’t satisfy everyone. Adding in a narrative could (and most likely will) give the game some structure, setting goals for those players who are happy to follow a guided (yet still quite open) path and engage with the ever-changing landscape gradually rather than spontaneously. Giving the game a format, if you will, will open it up to more people and, ideally, ensure that anybody who chooses to play the game has something they can do and (more importantly) enjoy. It might seem unnecessary to those of us who enjoy the unexpected, usually impetuous moments, but for those who crave goals they can work towards and accomplish and a set path with which to walk, the addition of a narrative to the game will be welcome. Well said. Your post captures the attitude I believe is present, even now, in the official release of Minecraft. I, myself, after playing during alpha, and beta, continue to enjoy Minecraft just as always. I have kept my original Alpha world, and left it mostly untouched recently to preserve it's simple beauty. I now have an Alpha, aforementioned, Beta, and official release world. Each has it's own feel, environment, and story to tell. To all those out there, and to you, let Minecraft always be our story. Our world. Max -- Thank you and thanks for reading and commenting, too. It means a lot. Things are obviously a lot different now for Minecraft than how they were when I wrote this post, but the journey that players -- as individuals or as a collective through public stories like the ones I mention in the post -- embark on with the game has been the one constant throughout all its updates, and that will probably only continue as we move forward even more. In fact, I'd even argue that the personal narratives are the core of the game, despite the survival and creative aspects taking a much more prominent role in the public eye. There's just something about Minecraft that allows every single person who plays it the opportunity to tell their own story, and I believe that's a trait that is definitely special and in a lot of respects, unique only to Mojang's exceptionally popular game. I was looking for greenhouse designs when I happened upon your blog post. I have grappled with Minecraft and its mods as a, perhaps, too open-ended gaming experience that left me wondering how I might approach playing the game and having a good general experience of its whole potential. I wanted to spend significant time to develop my world in a manner that left it more than the sum of its parts, so to speak. I think I have realized how to do this. Intuitively, these stages simply allow me to group goals in a rough chronology that crafting requirements tends to impose (namely, that collecting certain raw materials are required before completing a given goal). These lists of goals within an aspect of Minecraft I call a roadmap. I have compiled these roadmaps and I am using them to play the game. Basically, how I use them is as follows: I plan a "round" of play by reading through the roadmaps and writing down which goals I would like to accomplish for that round. As I play I check off the goals as I accomplish them, I take notes as to practical changes in the roadmap (maybe a goal is in the wrong stage), I make discoveries which I note so I can take advantage of them in the next round. Once I finish a round I take screenshots of my main architectural accomplishments and my favorite natural landmarks. I amend my roadmaps against the real experience of playing the game. I then make a new plan for my next round by selecting goals from each roadmap. By doing this I am not trying to determine the ultimate path to playing the game but rather having a framework for keeping my eye on the whole picture and allowing that view of the whole to inform my game play on a regular cycle (of "turns"). In this way, I find that I can work locally and act globally so to speak and that the end result will be a transformed world where adventure, architecture, automation, farming, magic, transportation and villaging are all integrated aspects designed in self-reflective turns over the course of time. Anonymous -- That's a really interesting way to engage and approach the game. I approach it somewhat similarly in that I guess I also have 'roadmaps' that define my play. While I might not adhere to them as specifically as you do, I definitely try to experience all aspects of Minecraft as regularly as possible by doing different things at different times and, indeed, reflecting on how that impacts my overall experience with the game afterwards. Sometimes, building takes the spotlight as I work on a project or try to sort out a solution that will help me be more efficient with my goals; other times I am happy to explore the various caves and landscapes that surround me; other times again I am happy to simply mine for materials, choosing to zone out (so to speak) to some music as I harvest the various ores and deposits that I stumble across in my branch mines. Each approach is different, each yields a different type of reward, but each also make up the overall journey that defines my world(s). As I allude to in my post, few other games can deliver a personal narrative like that. No one else who has played Minecraft, anywhere in the world, will have had the same story that I have. On one hand that's a shame and why things like Let's Plays are so wonderful -- it would be terrible if some of our personal stories weren't able to be shared. But on the other hand, it's fantastic; when something is unique to you and only you, when you can own your experience and know that no one else can, that's a pretty special feeling.